A stylish + gorgeous nappy cover! 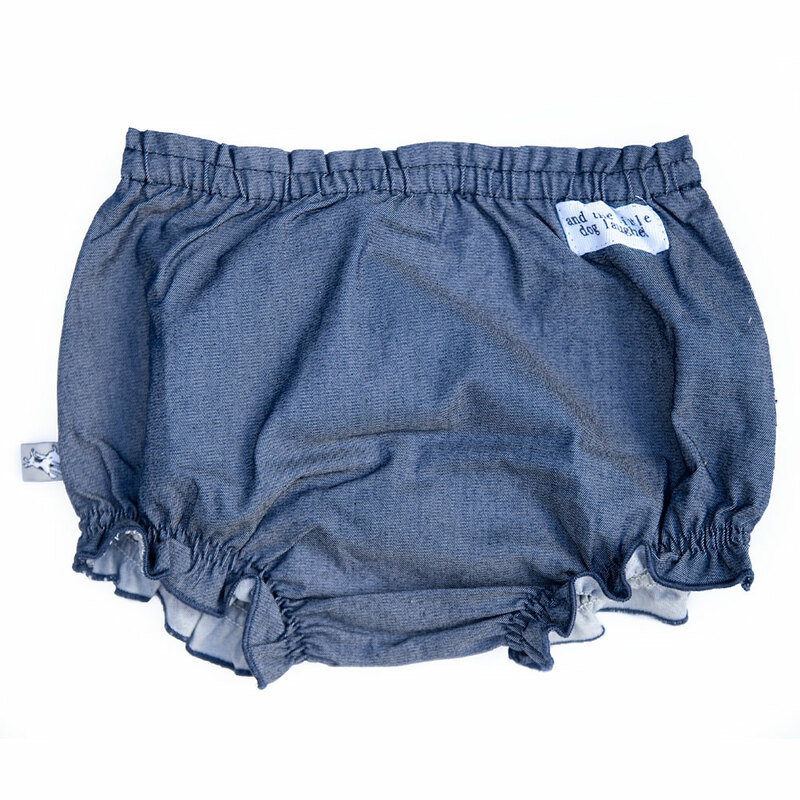 Stretch denim bloomers with grosgrain ribbon and fabric frill. Perfect for under a dress or simply teamed with a white singlet. We adore the alternating floral and polkadot fabric ruffles. The sweet tiny yellow flower pattern and larger daisy on navy look great between the black and white spots! The denim fabric is a fantastic choice. Comes packaged in a zip bag with charcoal grosgrain ribbon trim....perfect for nappies, wipes and baby essentials. The cute and handy zip bag is also a lovely "finish" for a thoughtful gift.